John Butcher has used special spaces to create the right resonance for his instrument, Jean-Luc Guionnet has used instruments to make people appreciate space better, and this album is possibly a mix of both. 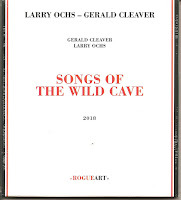 In 2014, Larry Ochs was invited to perform in a private cave in the south of France that contained some 150 prehistoric rock paintings. It took some time before the actual recording was made, and Ochs insisted to have a drummer with him, and Gerald Cleaver took up the challenge. 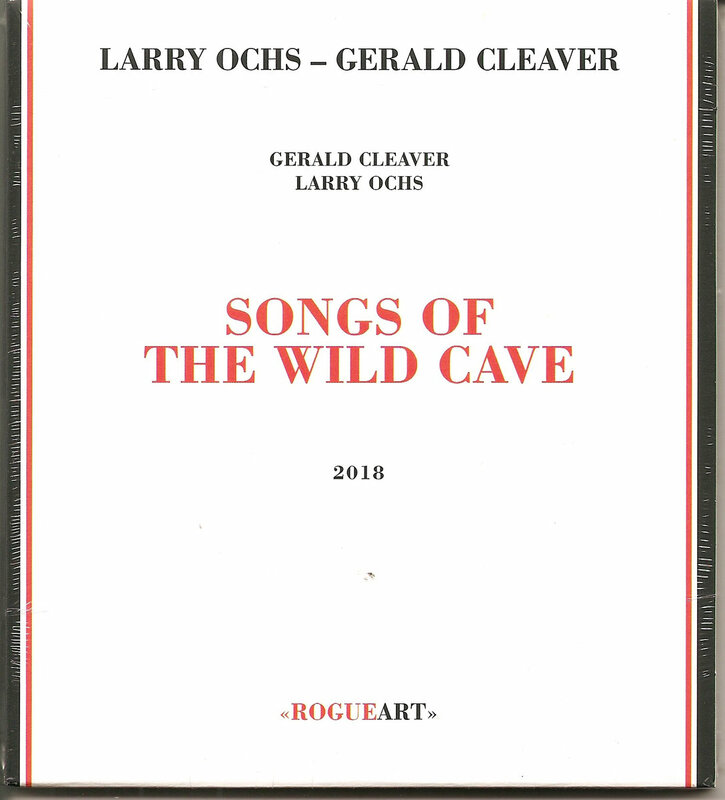 You can read the full story of the performance in the cave on Larry Ochs' website, a story of uncertainty, challenges and doubts, but also of great music. The question is: can you hear the cave? The question is how it affects two musicians to play music deep underground in a slippery and rocky and risky place, without audience, in a small circle of light surrounded by total darkness, no air movement, a constant cool temperature and a high level of moisture, and in the presence of the artifacts of people who visited this cave some 24,000 years ago, and created art. You hear it. You can hear the cave. Ochs describes a difference with playing in a huge enclosed space such as a cathedral, which dominates and rules the sound and its resonance: "In the cave, the cave didn’t rule. It allowed us to take all kinds of improvised angles; it was rather an equal partner, and a generous one at that since, at least speaking for myself, the cave made everything easier, and I felt like everything sounded good, physically speaking, at least". The album has eight tracks of free improvisation, with a sound that really goes deep, catching at the same time the existential 'angst' that our long-term ancestors must have felt in the place: fear, reverence, and the need for a collective sonic effort to express oneself and to control whatever powers rule the place: by praying and chanting and demonstrating submission, by asking for strength and health. Music as expression and as a sacrificial offering. The need for art in its most brutal, simple and authentic form. The cave participates, not only as a closed humid sound box that resonates, but also as a bridge, as a witness to something timeless, a kind of universal human sound. Ochs and Cleaver capture that brilliantly. There are no pyrotechnics here, no fireworks, no artificial things. They respect the place, they use the space, they invite the cave to join. Some pieces are raw and violent, trance-inducing, painful yammerings or ferocious howls and thundering percussion. On one track, Cleaver uses only bells, because there is no need to be all over the place. The only thing is to be real, and to connect: the reeds and the drums, the musicians and the cave, the past and the present, the humans and the gods. Two instruments offering music with many dimensions. A fascinating album. Don't miss it!